Hungry Fish is a great free app that helps students practice mental math. Picture a fish floating around, needing to eat specific numbers or shrink and shrivel. The user must combine floating bubbles in order to make the specified sum. The free version allows the user to select low sums as well as sums up to 50. It's amazing how responsible students feel about feeding their fish! I have to admit that when I show students how to play, I become pretty sad when the fish keeps shrinking and darting around to look for "food." To increase their attachment to their fish, the program allows users to customize their fish with all different fins and colors. I have had students of all abilities really enjoy this app and improve their math skills. Without realizing it, they practice basic and more complex math facts. If I were teaching higher level math, I would definitely consider some of the upgrades since Motion Math has other applications that allow students to practice subtraction and negative integers. The high level of engagement and and free price tag make this app an easy decision! Enjoy! I love thinking across texts with my students by connecting themes, characters, lessons, symbols, and relationships. When students are able to make connections across texts, they lift the level of their thinking and comprehension about the texts by synthesizing and interpreting information. Students become to expect me to ask them to think across multiple texts in various ways so they begin to do it independently too. 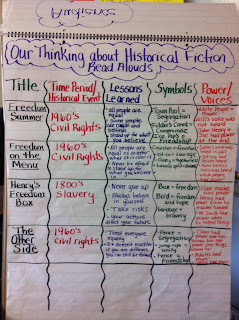 Currently, in our Historical Fiction Unit we are connecting historical events and character actions/decisions within time periods. 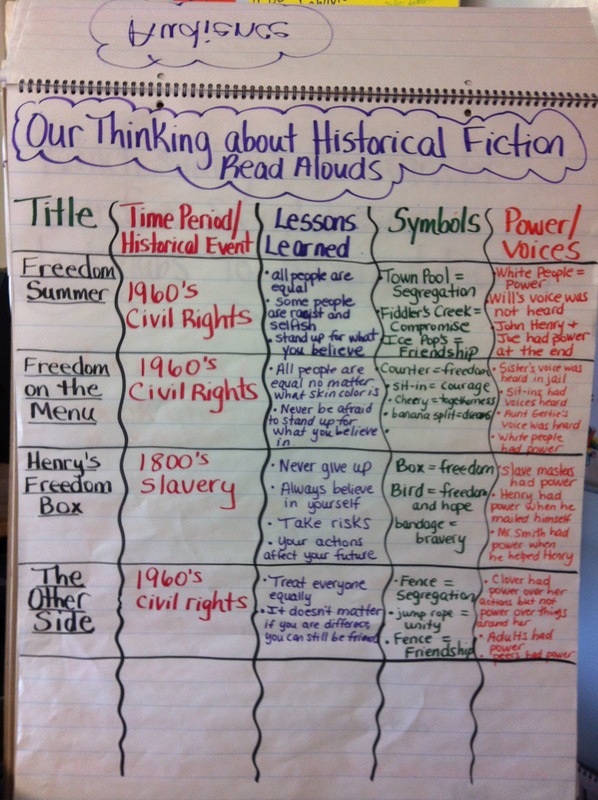 For example, thinking about how the time period impacted/caused the characters' actions, decisions, and conflicts during the Civil Rights time period by analyzing and connecting Freedom Summer by Deborah Wiles , Freedom on the Menu: The Greensboro Sit-Ins by Weatherford, and The Other Side by Woodson. Or by looking across The Butterfly by Polacco, The Harmonica by Johnston, Behind the Bedroom Wall by Williams, and The Boy in the Striped Pajamas by Boyne to connect how the World War II, internment camps, and the Nazis impacted lives, decisions, and actions of the characters and people living through that time period. I am always eager to find different picture books, chapter books, and nonfiction articles we can add to our text sets that we are thinking across and connecting. 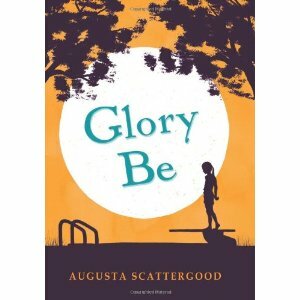 Last week, one of my colleagues, Heather, lent me Glory Be by Augusta Scattergood to read. As soon as I began reading it, I instantly knew that it was going to connect to Freedom Summer on many levels and was so excited to begin thinking across the two texts. Both Freedom Summer and Glory Be are set in the 1960's during the Civil Rights time period when African Americans were not allowed to drink out of the same water fountains, eat in the same diners, or swim in the same pools as white people. In both books, the swimming pool is a main focus and the main characters share similar feelings about the laws being unfair and that the color of your skin should not matter. My students loved reading and talking about Freedom Summer so I am excited to share Glory Be with them this week. In 5th grade, our students participate in book clubs in at least two of our reading units: Social Issues and Historical Fiction. This year, I tried something a little different to heighten the level of my students' book club conversations and will definitely do it again next year. This year, in addition to using consistent whole class conversations and partner conversations throughout the school year to strengthen their ability to talk about books, I also formed book clubs for some of our read alouds. For example, in between our Social Issues and Historical Fiction units, I had the book club groups practice how to prepare and have successful conversations around our read aloud, The Running Dream by Wendelin Van Draanen. During this week, Melanie Meehan and I acted as a mini-book club to model how to prepare for our conversations and use our writing to have successful conversations during our reading workshop minilessons. We modeled how to plan for our conversations about The Running Dream, using the chart paper as our reader's notebooks during Tuesday and Thursday's minilessons. After our modeling, students had time to plan for their own book club conversation for the following day during the active engagment part of these minilessons. Then on Wednesday and Friday of that week, Melanie Meehan and I modeled how to use our writing that we did on the previous day to have a successful conversation about The Running Dream by having a fishbowl conversation during the minilesson. After observing our conversation and sharing what they noticed, students went off to have their own book club conversations around the read aloud by using their writing to help them. By using a read aloud for book club conversations this week, we were able to clearly model and coach into how to strengthen our conversation skills. This indepth work of strengthening students' ability to write and talk deeply about books made a big impact on the level of their conversations and writing about their reading. The following week, we launched our Historical Fiction book club unit, but instead of having students begin choosing their historical fiction book club books right away, I had the book clubs focus their conversations on our picture book read alouds for one week. On Monday, Wednesday, and Friday of that week, they focused their conversation on different historical fiction picture books that we read aloud such as: Henry's Freedom Box, Freedom Summer, and Freedom on the Menu. During this week, I also had the book clubs create "mini-charts for the historical fiction picture book read aloud that they discussed just like I create charts for each of our read alouds. I was so impressed by their thoughtful work and the level of their thinking on these mini-charts and in their book club conversations about these read alouds. Thanks to Jen and Kellee for inspiring me to read and write about the books every week. I love visiting teachmentortexts.com for more book recommendations each week! This book offers some great possibilities for learning and discussions. Homer’s adventures begin in Maine and Philbrick wove in some Underground Railroad history with a conductor who was a wealthy Quaker. History lessons continue with enlistment, Hydrogen balloons, traveling circuses, and fighting conditions and they culminate with the Battle of Gettysburg. Some of the scenes are predictably violent since Philbrick rightfully presents the brutality of the Civil War. Homer faces ethical dilemmas and decisions throughout the book, paving the way for right vs. right conversations with children—some of my favorite conversations. Homer is also an amazing model of perseverance, resilience, and commitment for readers. As a mentor text, The (Almost) True Adventures of Homer P. Figg, would be a wonderful choice for teaching voice and humor because Homer is subtle and wonderfully funny. Vignettes throughout the book could mentor story-tellers, as well as Philbrick's development of strong characters in many different settings. Homer is definitely a character worth knowing! 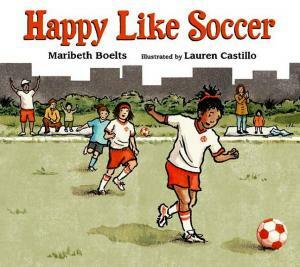 I absolutely love Those Shoes by Maribeth Boelts so I was very excited to hear that she wrote a new picture book, Happy Like Soccer! I use Those Shoes as a read aloud, mentor text, and in my minilessons for reading and writing workshop throughout the year with my 5th graders. So the first few times I read Happy Like Soccer, my wheels were spinning with all the ways I can refer to parts of it in my reading and writing instruction next year. The story is about a young girl, Sierra, who loves to play soccer, but in the same breath she hates it because her auntie can not take time off from work on Saturdays to watch her play or cheer for her on the sidelines. When each game starts, she sees and hears families cheering for her teammates; she is the only one that doesn't have someone there. One day, Sierra's game has to be rescheduled due to rain and she gets the idea to talk to her coach about rescheduling it on a day her auntie is off from work. This story has a powerful, young character who has a strong relationship with her auntie and wants to hear her name called from the sidelines. As educators, it reminds us how important family members are to our students and we must remember this when we schedule writing celebrations, class celebrations, plays, concerts, and any other event when family members are invited. We need to remember that not everyone has a family member that can take time off from work as easily as some others. I look forward to reading aloud Happy Like Soccer in my classroom and referring to it as a mentor text in my reading and writing workshop minilessons. 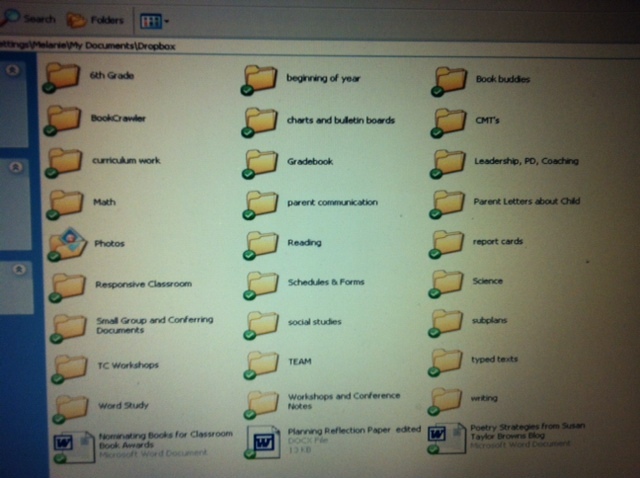 In addition to being a classroom teacher, I mentor/coach new teachers, write/revise our district reading curriculum, and lead professional development sessions so I depend on my electronic documents and files. Over the years, I used 4 different flashdrives to save and access information at school and home. Each flashdrive was dedicated to a different focus: classroom teaching, district curriculum and professional development, photos, and one for miscellaneous documents. As you can imagine, it was challenging to always make sure I had a flashdrive with me at all times for impromptu meetings and professional development sessions. Last year, a colleague introduced me to Dropbox and ever since that day, my electronic life has been so much easier - thank you Bryan! By using Dropbox, I haven't had to use my flashdrives and I no longer fret about whether or not I have a flashdrive with me to save/access files. Now I can access any file or document on my school computer, home computer, iPad, and iPhone any time I need it! 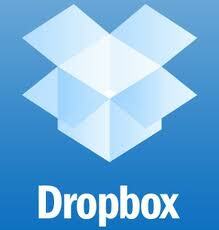 I use Dropbox every day and now my "electronic life" is now organized all in one place. Dropbox is free and you just need to download it onto the computers you use (work, home) by going to www.dropbox.com and download the Dropbox app on your iPad/iPhone through itunes. 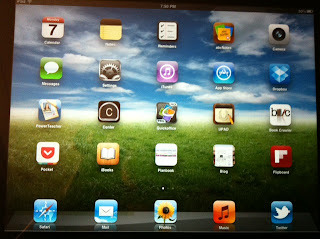 Then you will be all set to save documents, create folders, and access them on any device. For example, if I am working on a document at school, I save it in my Dropbox folder and then when I get home, I can continue to work on the same document by opening it in my Dropbox folder on my home laptop, iPad, or iPhone - it's amazing and so efficient! When I am at a meeting and want to share documents with my colleagues, they are just a click away by opening up my Dropbox files on any device or computer.So even if I don't have a personal device with me, I can access my files by logging into my Dropbox account on http://www.dropbox.com/. The days of feeling regret or a sense of panic that I forgot my flashdrive at home or in my other bag are long gone thanks to the ease of Dropbox. If you have not downloaded it or used it yet, don't put it off any longer - trust me, you will love it! As a Special Education teacher, an important part of my job is progress monitoring. While I like my assessment systems for reading and math, I have struggled with how to progress monitor writing. My colleagues have been using a system that involves giving students prompts and then assessing how many words they produce in a three minute time period. For some students with fluency or production issues, this is meaningful. However, many of my students struggle with executive processing and they need specialized instruction to develop focus, organization, and their abilities to respond to questions. Therefore, asking them to write as much as possible to a prompt is not really measuring the skills that will help them become more successful and independent within regular education. Developing a topic. All they have to do is state a thesis and three supporting details. Expanding the topic. They have to do the above, but add anecdotal stories, facts, or evidence that support the details. A scaffolded introduction. I give them the written prompts for a hook, their thesis statement, and a sentence containing their three reasons. An unscaffolded introduction. They have to write the introduction without my support. A scaffolded developmental paragraph. I worked out templates for them to follow to maintain their essay's organization and include the details from their expanded topic. My experience with this indicated that once students could work through all of these steps, I did not need to include the conclusion, because they were independently able to summarize their work if they got that far. The benefits of using this system was that I knew exactly where individual students struggled in the writing process. For example, one of my students couldn't think of ideas but once he did, could move through the steps. 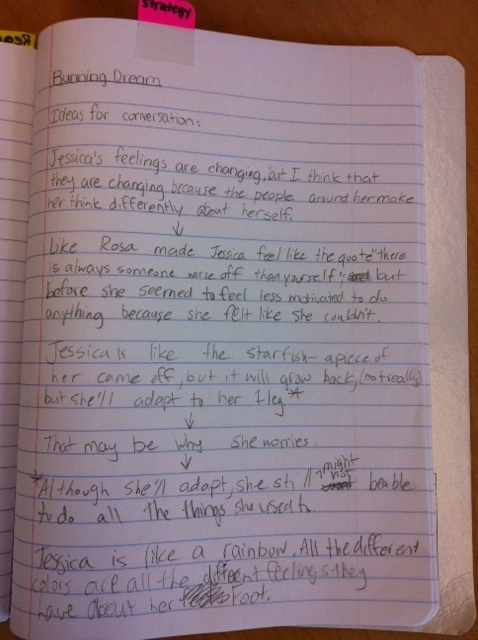 Another student required significant instruction to write an introduction. Therefore, he stayed in the scaffolded introduction section for several lessons. For all of my students with writing goals and objectives, I know exactly where they are sequentially in the steps of writing essays and, more importantly, they know where they are! Essays are overwhelming for students who have struggled with writing so I found that laying it out for them with specific steps to master was empowering to students. For next year, I will continue to set up binders and I may try some color-coding to help some of my visual learners. One of my colleagues has added a place for students to organize and self-assess whether they have included elaboration strategies such as quotes, facts, anecdotes, statistics and descriptions. I may work on including this step within my binder, as well--thank you, Heather. In the meantime, benchmark assessments are underway and so far, I am pleased with the growth I have seen in most of my students for written expression. 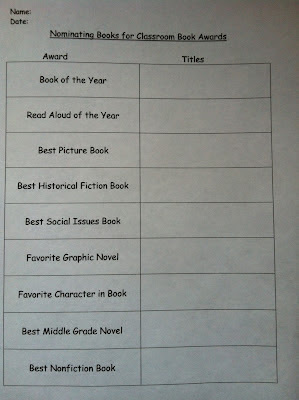 Last week, I read a post by Colby Sharp about Classroom Book Awards on his blog and I loved the idea! It is a perfect way to reflect on all the great books we read and enjoyed during the school year. At the end of each school year, I always have students reflect on our class read alouds by choosing which read alouds were their favorite, sparked the best conversations, had the strongest characters, and taught them important life lessons. However, I never thought about opening the reflection up to include more categories and to give out book awards, which seems more official and exciting for the kids. So yesterday, I created a nomination form that lists the award categories with a space for students to write down the titles they want to nominate to win the award. 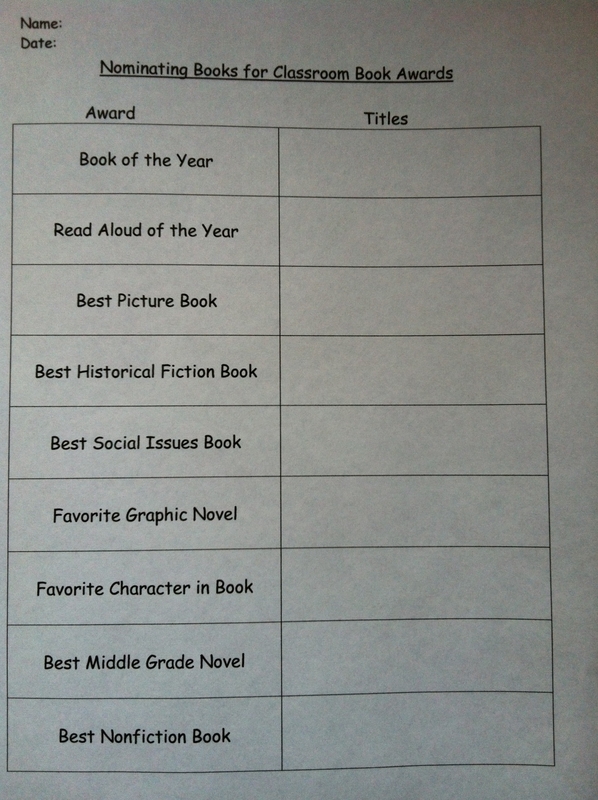 Today I am going to introduce the Classroom Book Awards idea and the nomination form. First, I will ask students if they want to change or add different award categories to the form to get their input (this form is just a brainstorm and a starting point). Then I am going to have students complete the nomination forms independently before voting. Once we have identified our winners, students will create an award label for each category that we can place on the winning book covers in our classroom library to make it even more official. I will keep you posted about the award winners in another post so stay tuned! Thank you Colby Sharp for sharing this wonderful idea! A couple weeks ago, I read about NetGalley on Twitter and was excited to try it out because I love to read new and upcoming titles to share with students and pre-order for my classroom! NetGalley is an online service where readers can request to read online galleys of titles, that have not yet been released, via an eReader such as iPad or Kindle. 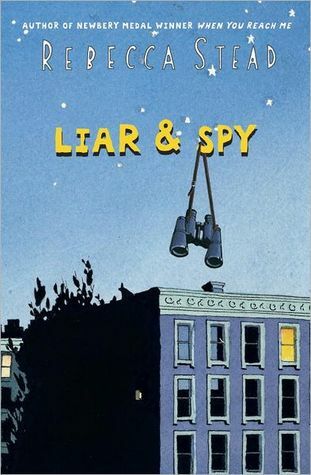 Through NetGalley, I read Liar & Spy by Rebecca Stead on my iPad this weekend. I loved When You Reach Me by this author so I was eager to read her new book that will be released August 7th. This book is a perfect read for students in fourth grade and up who enjoy mysteries, suspense, and surprises. The story takes place in New York City in a special apartment building in Brooklyn. The narrator is a seventh grade boy named Georges (pronounced George). Georges' family has to sell their house and move into an apartment where he meets Safer, Candy, and Pigeon who are all siblings. Safer creates a spy club that his sister Candy and Georges join. Through this spy club, Georges learns new information about Safer's family, Mr. X, and friendship. I could not put my iPad down while reading this book and read it in one sitting. 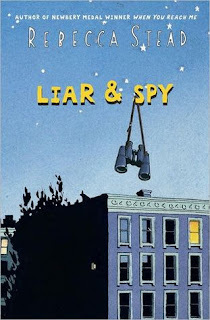 I can not wait to purchase Liar & Spy for my classroom when it is released in August - I know my students are going to love it! I know that I have written other posts about the importance of conversation in the classroom but I keep coming back to it. Because I am a Special Education teacher, I am regularly in fourth, fifth and sixth grade classrooms and the level of conversation varies across the grades. However, these levels of conversation also vary within the grades. Some groups of students are inherently able to use thinking stems, notes, and active listening to push the level of dialogue around them. Other students struggle with conversation and a high percentage of the strugglers are on my caseload. I have been working on interventions for these students. While their IEPs do not necessarily have goals and objectives about listening, reflecting, and integrating the verbal messages around them, maybe the IEPs should, since these skills are foundational supports for interpreting and writing about text; these writing skills are embedded in goals and objectives. providing students with colored blocks, with each member of the conversation having his/her own color. Whenever a student contributes, he/she places a block into the middle. We then use the “What did you notice” phrase to inspire students to think about who were the active participants and what that felt/looked like. Opening Minds by Peter Johnston is a powerful book that emphasizes the importance of dialogue in classrooms. Disagreement can be inspiring if we use it to deepen our own beliefs. “We want children to realize that although they are trying to reach a shared conclusion, challenges and disagreements are expected, even encouraged, because they are useful for uncovering assumptions and new possibilities, and for making reasoning public” (p. 106). Expressing opinions and listening to those around us are such critical skills for students to develop in this rapidly changing world. This is definitely an area around which I will continue to push my own professional development! Word Bingo was one of the first apps I bought when I first purchased my iPad. My students still enjoy this app, returning to it frequently. For the $.99 price tag, this app offers a lot! First of all, you can create profiles for individual students so you can actually use this game as a progress monitoring tool since it tracks accuracy. There are several choices of word lists from pre-primer to third grade with options for just nouns and also for all words. The program states the words and players have to find the words on the Bingo board. When they beat their previous best scores, they earn rewards that they can redeem for games. The games are mostly well disguised additional reinforcers for the words they are learning! If students miss too many words in a round, the program offers them spelling practice and, through the settings, you can program how much visual assistance to provide them. For younger elementary students and students with disabilities, Word Bingo is a great app for learning high frequency words. My students have found the games and activities to be fun and they have had an impressive amount of staying power. Definitely worth the dollar! Thanks to Jen and Kellee of teachmentortexts.com for inspiring so many people to read and share every Monday! I liked the cover of Sylvia and Aki by Winifred Conkling while I was browsing at the town library with one of my daughters and I am so glad that I brought this book home and read it! Based on the historical events just after the bombing of Pearl Harbor, this book rotates between the narration of Sylvia Mendez, who was the plaintiff in the landmark 1946 court case, Mendez et al v. the Westminster School District et al., and Aki Munemitsu, a Japanese girl whose family was sent to a Japanese internment camp in the Arizona desert. Because Sylvia's family rents the vacated farm owned by Aki's family, the girls' stories intersect and intertwine, providing the substance for an engaging plot. This book offers so much to discuss! 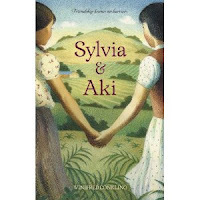 Public reaction to cultures, racism, perceptions and realities, as well as less known American history, all emerge in the relatively simple text of Sylvia and Aki. I shared it with my daughters so it had been the basis for some interesting dinner conversations and I am looking forward to some of my students reading it as well. It's also a great mentor text in that it shifts story lines and narrators but maintains the interconnectedness. Definitely worth reading this one! I read and enjoyed many books in my TBR stack this weekend! Two of the books that I read were books I won last week on Twitter! 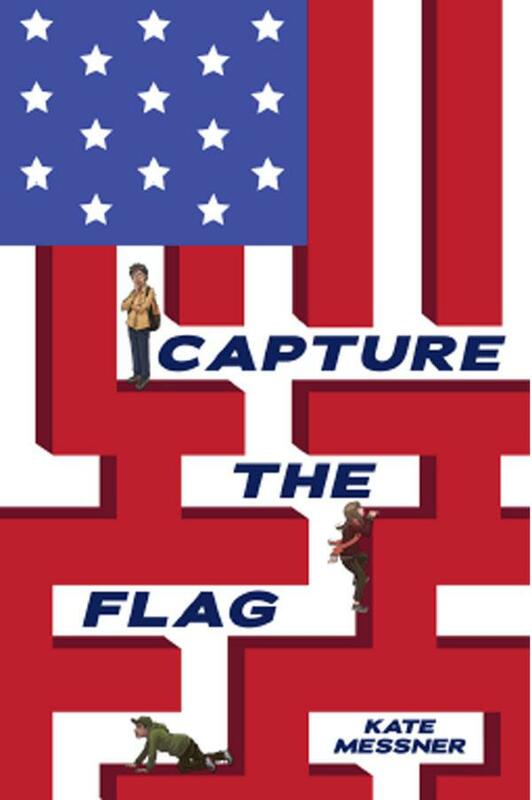 I was lucky to win an ARC copy of Capture the Flag by Kate Messner on Twitter - Thanks Kate for having that giveaway! This book will be available at the beginning of July and I highly recommend purchasing it for your middle grades classroom. It is a suspenseful mystery with some history involved. Without giving too much away, it is about three kids who get to know one another while stranded at the Washington D.C. airport due to a snow storm. While at the airport, there is breaking news that the famous flag that inspired "The Star Spangled Banner" was stolen and that the thieves must be at the airport stranded too. While they begin searching for the missing flag, they meet a politician and a mysterious tatooed man that they become suspicious of. Read to find out if Anna, Jose, and Henry find the stolen flag and bring the thieves to justice! 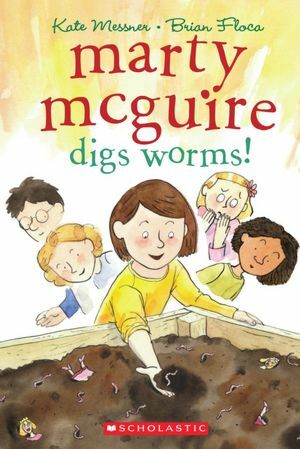 During my mini 'winning streak', I also won a copy of Marty McGuire Digs Worms by Kate Messner on Twitter - Thank you John Schu and Colby Sharp for offering this giveaway and hosting the Twitter book club conversation for Marty McGuire on May 23rd! This book is the 2nd book in the Marty McGuire series and is an early chapter book series that is perfect for students who love characters like Clementine and Just Grace. Marty Mcguire is a strong character that kids can relate to because she is so real! In Marty McGuire Digs Worms, Marty is a third grader who is trying to come up with the best project to help the environment after her school has an assembly on saving the environment. With the help of her grandmother, Marty comes up with a creatively gross idea to have a composting bin full of worms to help reduce the wasted food in the school cafeteria. Of course this idea can not be successfully implemented without problems along the way! Marty is a character kids can connect to because she thinks and acts like a real third grader might and she is believable. Enjoy Marty McGuire! Be sure to visit Jen and Kellee at Teach Mentor Texts to see what others are reading too! Enjoy! Reflecting on these steps, I can’t say that we always do all of them with fidelity. If any of them are more apt than others to be forgotten or left out in our classroom, it is the student modeling. However, the phrase “What did you notice” is one of the most common phrases in our room. I have developed my schedule so that I am in Mel’s class for reading, writing, and frequently math so the two of us have many co-teaching opportunities. This week, we have been re-teaching students how to have discussions about books. We have been using our current read aloud text, The Running Dream, as a subject for book talks and discussions in order to deepen the level of dialogue and depth of thinking when students prepare for and participate in book clubs and parter conversations. Yesterday, Mel and I modeled a conversation. After our three minute conversation (one of the boys had suggested that we be quick so that he could get to reading!) several of the students said “what did you notice?” before we could! Love that! are accountable for what we are saying and teaching. must be aware of their environment and the people around them. do more reflecting on how lessons relate to them and their own learning. must build connections between lessons or classroom events and themselves. have greater responsibility for their roles in the school environment. provide insights and noticings that teachers might not have have otherwise had. become active learners and even teachers in their learning communities. I return regularly to my notes and books from the Responsive Classroom workshop, but the routine of asking students what they notice remains one of my greatest take-aways. Such power from such a small phrase! Anyone who knows me will tell you that I am a extremely passionate about reading children’s books and my avid reading helps give book recommendations to children and colleagues. Over the years, I have tried various ways of logging books that I’ve read, want to read, and want to recommend to others. I have used mini-notebooks mostly to keep track of my many books and TBR lists. 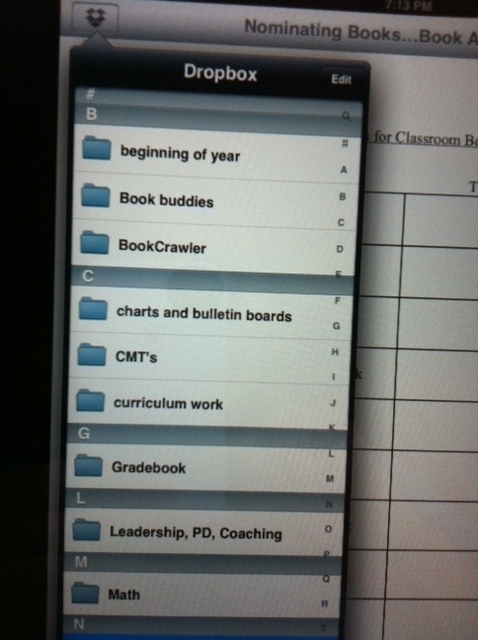 Last summer, my principal introduced me to the Book Crawler app – thank you Grace! 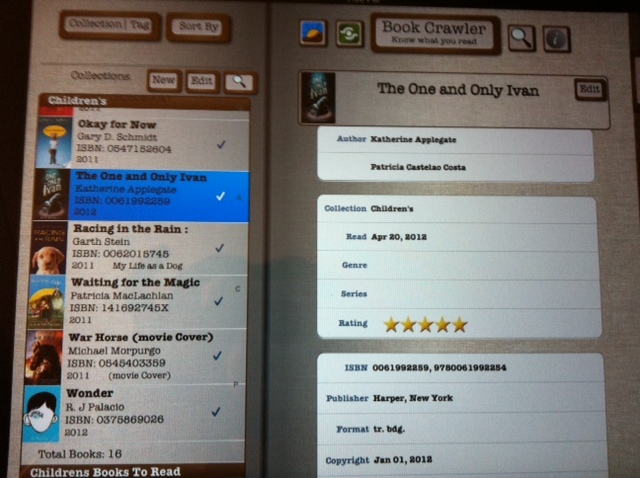 With this app, I can automatically scan the barcode of books and it automatically downloads the book cover photo, title, author, and publisher information onto my iPad and iPhone! 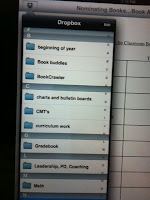 I can also organize my lists of books by genre, collections I created, authors, book titles, or the Tags that I set up. For example, some collections I have set up are: children’s chapter books, picture books, Children’s books to read, professional books, professional book to read, books I loaned (which is so helpful since kids throughout the school come to my classroom to borrow books! ), nonfiction, poetry, read alouds, and books checked out at public library. By sorting my lists by collection, I can easily recommend books I’ve read and be reminded of which books are in my TBR stacks. Book Crawler also allows you to rate the book with up to 5 stars and write a comment to trigger your memory about the book or to prepare for a book club conversation by jotting notes in the comment section. 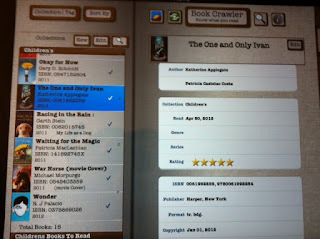 This app makes my trips to Barnes & Noble, independent book stores, and the public library much easier because instead of writing down all the titles I want to read, I can just scan the bar code on the back of the books with my iPhone or iPad and I instantly have all the information I need. I’d love to hear about other apps you use to keep track of books read and TBR lists/stacks! I am a firm believer that we need to take risks and go out of our comfort zone to extend learning and be a lifelong learner. Yes, sometimes we experience failure when we do this, but that is again part of the learning process and being a reflective learner. Last year, I went out of my comfort zone when I bought my iPad and iPhone at the same time and began to explore the Mac world through the thousands of apps and resources available. I began to find my now favorite apps such as Flipboard, Dropbox, Confer, UPAD, Book Crawler, Quickoffice, online PlanBook and many more! I explored these apps and use them on a daily basis – I can’t remember how I functioned so efficiently in my life before the iPad/iPhone. It opened me up to a new world of technology that I was honestly “afraid” of before because it was the unknown for me. This year, I felt confident about incorporating more technology in my classroom and using my iPad/iPhone to extend my professional learning so I was unsure about trying Twitter when my colleague, Melanie Meehan, told me about it. She did not give up though and kept telling me that I needed to join Twitter and repeatedly emailed me multiple blog posts about the benefits of Twitter for educators. I repeatedly told her “no” because I was learning a lot from the many blogs and online articles I read daily on my Flipboard. The turning point was when we started this blog in March and Franki Sibberson asked if we were on Twitter and wanted our Twitter handle. I started a Twitter account that day and it has lifted the level of my professional learning to a new level. My professional learning network is extensive with Twitter and my thinking is pushed in new directions and to higher levels daily through the power of 140 characters or less. · and the power of 140 characters or less! So my advice is next time you feel a little squeamish and unsure about trying something new, try it! If you are not on Twitter yet, I highly recommend that you start. You will have an infinite amount of new learning right at your fingertips anywhere, on any device, and at any hour of the day. Thank you Franki Sibberson and Melanie Meehan for giving me the little push I needed to enter the world of Twitter. This week, we began our Choice Unit in writing workshop. Mel Swider posted about this the other day in The Power of Using Mentor Texts in Writer's Workshop. Students are allowed to choose the genre of writing they want to do. As an introduction to the students, we offered several suggestions--newspaper articles, brochures, short stories, poetry, essays, feature articles. Two of our more resistant writers put their heads together and announced that they wanted to do a play. Not having much experience in teaching play writing, we pulled up techniques and mentor texts for them from some various websites. We spent some time together looking at some mentor texts that we found on-line so they could really see the structure of a play. Then they started talking about some fairly complicated plots they had in mind to produce on stage. “Do authors write the play or the story first?” Cristina asked. A lightbulb went off for me at that point. 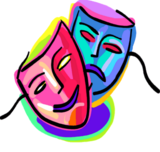 Plenty of great plays and movies are adapted by specialized playwrights. At first, Mel didn’t love the idea of them adapting a picture book into a play. She pointed out that they may think they can just copy the text and not be creative in the writing proces. She was right but they were so invested in the idea that I convinced her to let them continue to try with direct instruction and coaching. 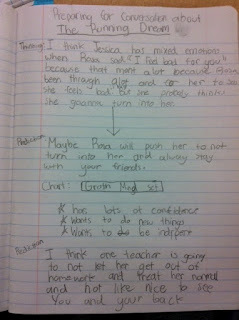 The four of us sat down and began to plan how we would translate Thank You Mr. Falker by Patricia Polacco into a play. Together, we studied the text and analyzed the time passage and the changing setting. We agreed that we would not be able to have a play that spanned from the first time that Trisha struggled in school so we created dialogue that Trisha could have with her mother that would provide an audience with that back story. Using visualization strategies, the students drafted a description of the setting. Imagining how the characters were feeling, they parenthetically wrote in gestures and body language that would demonstrate those feelings. Together, they read and re-read the text to select lines that were critical to include. “Uh-huh,” I thought to myself. Mel overheard this part of our conference and the two of us exchanged looks. For the next two days (and nights because for probably the first time this year, Andrew really worked at home on his writing), Andrew focused on adapting Ish by Peter Reynolds to be a play. When I conferred with him, he toured me through the text and explained his decisions to omit and expand certain parts. 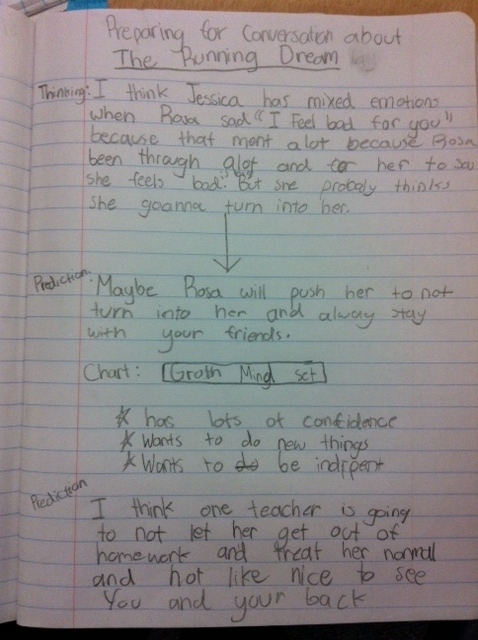 He had found a mentor play that had included parts for a narrator and he wrote summaries for the role of a narrator. “I left these two pages out because I’m not sure how to include them,” he told me. This from a child who had recently resisted including supporting stories in the body paragraphs of his essays and had taken until December to read a book from cover to cover. Together, we talked about how he could develop dialogue that would show how frustrated the main character, Ramon, became with his drawings. I also pointed out to him the places where he had the narrator telling the actions of the characters. In some places, he had copied these lines from the text. With some coaching, he began to independently cross off the parts that showed action and replace them with stage directions for the characters. At the end of writer’s workshop, Andrew was disappointed it was over and he brought his notebook home to continue to work on it. I’m not convinced that screenplay writing will trump weekend activities but I will say that a previously resistant writer was engaged in some fairly high level thinking about a book and the writing process. He has a vision of producing and videoing his play and we are excited to support him! Stay tuned! I have loved all the books Kate Messner has written so when I hear that she has a new book coming out, I immediately add it to my TBR list! 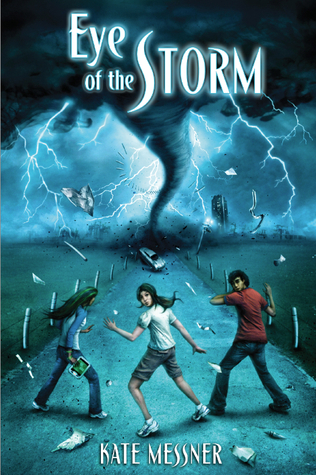 Eye of the Storm lived up to all of its favorable reviews and is a must read for students in middle grades. It is set in the future where dangerous storms and tornadoes are frequent across the country and children can not even play outside like they used to because of how quickly the storms appear. Jaden is a twelve year old girl who is staying with her father, who she hasn't seen in four years, for the summer. Jaden's father is a scientist who has created a StormSafe community where he currently lives. This community guarantees the residents complete safety from the storms. In the StormSafe community, there is an Eye on Tomorrow science camp that Jaden is going to attend. At the science camp, the children are given a data slate to use which is similar to an iPad and they conduct science experiments that are related to the storms. While she is attending the science camp, she starts to learn new information about her father, the StormSafe community, and the connection between her father and the storms. Jaden uncovers the truth behind everything and the suspense leading up to the truth leaves the reader at the edge of their seat while they turn each page unveiling the events and actions leading to the discovery. Once Jaden discovers the truth behind her father's research, she must make a decision between being loyal to her father or saving her family and friends from the most deadly storm. Eye of the Storm is becoming very popular in my classroom and there is a list of students waiting to read it next! Enjoy! Be sure to visit Jen and Kellee at Teach Mentor Texts to see what others are reading too! Each year I work hard at collecting and providing my students with multiple mentor texts for each unit of study in writing workshop. At the beginning of each unit, we immerse ourselves in the collected mentor texts to analyze the structure of the genre or type of writing and the craft of the student/published authors. Then students choose which mentor text(s) they want to personally use to help them with their writing pieces throughout the unit. I also have two crates full of copies of mentor texts that we use throughout the year that students can access at any point to help them with their writing. At this time of the year, we are given a choice as teachers as to which unit of study we will focus on for the last month of school. With the help of one of my teammates, we decided to give students a choice about what genre/type of writing they would like to focus on and explore as writers for the remainder of the school year. I loved this idea – thanks Heather! The students were so excited and even some of my reluctant writers could not wait to start writing each day this week. Although my students always have choice in writing workshop and can choose their topics at all times, they are restricted by the genre or type of writing we focus on in each unit of study. So you can imagine their excitement when they could choose the genre! These quotes show how students who used to avoid writing at the beginning of the year and come up with as many excuses as they could to not write, are now enjoying writing and can’t wait to write! I love seeing this transformation in students! Since I always begin units of study by immersing ourselves in mentor texts, I had the students collect their own mentor texts this week according to the genre/type of writing they chose. It was amazing to watch this collection in progress as they sifted through picture books, newspaper articles, online articles, and magazines to select their mentor texts. Today I had students share their mentor texts and explain how mentor texts help them as writers. · Reminds me to zoom in on one small moment. · Give me inspiration and ideas for the genre. · Gives me a visual idea. · Helps me revise my planning and ideas. · Inspires me by making a personal connection. · Teaches me the structure and layout of the genre. I love to see that my students have internalized the importance of mentor texts and how they can truly help in many ways during the writing process. I’d love to hear other ways you are using mentor texts in your classroom so please share! I probably don't really want to know how much I have spent on apps over the last year since I first purchased my iPad. (Hard to believe I have only had it for a year!) Therefore, when people around me were talking about how they got apps on sale or even for free, I wanted to know how. Someone mentioned that there are apps that are available for finding bargains. I have a couple of apps now that let me know about deals but, at this point, AppShopper is the one that I use the most. AppShopper is a free app that sends notifications whenever there are updates or price changes in lists of apps that I have set up for myself. So, when I find an app that I want, particularly an expensive one, I enter it into my wishlist. AppShopper can tell me what the activity has been over the last year as far as price fluctuations which helps me assess the possibility of a future price reduction. If I end up buying it (or getting it for free!!!) then I move it over to my "own it" list. Any future notification I'll receive about it will just have to do with updates. I'm always interested in deals, so if others out there have suggestions for saving money, please share them. During a lesson the other day, we were talking about the different themes that exist in books. 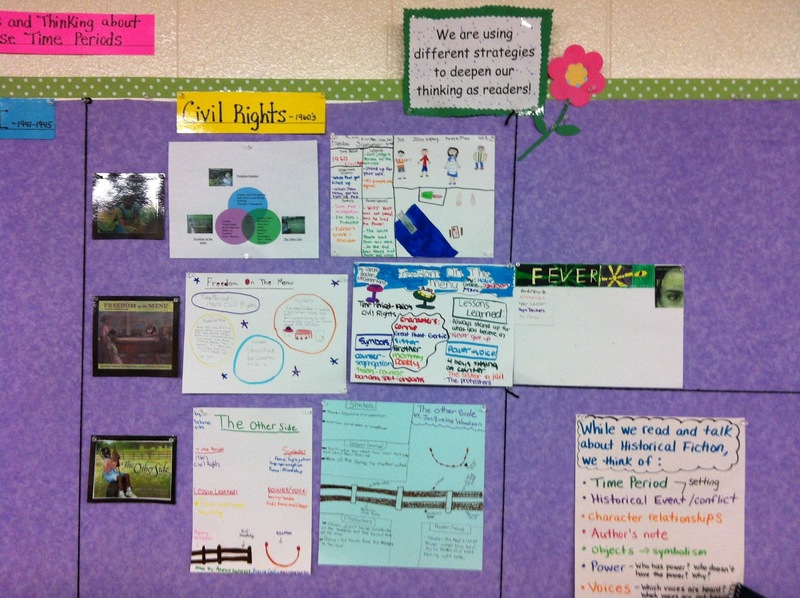 We are just finishing our social issues unit and many of the books have multiple themes. Since we also talk regularly to our students about 21st century skills and the importance of having growth mindsets, our discussion centered on some of the thinking skills and habits of mind that we want our students to develop. Traditionally, I have categorized the books I read in terms of genre. We also teach in terms of genre. I am wondering out loud in this post about also categorizing books in terms of habits of mind and thinking skills. In the chart I have included below, overlap definitely exists so some of the books appear in multiple columns. However, I definitely think that some books lend themselves more to talking about specific skills than others. Here is a list that we have started and I am asking for help in developing it. As we collect titles, the vision is to group them by grade level so that this chart becomes a resource of books that help to segue into conversations about 21st century skills with elementary students. I would so appreciate suggestions of titles that are appropriate for grades K-8 and I will continue to develop this chart. Thanks!